It is a strange and almost enchanting finesse, that Mahendra Pandya rendered harmony to his sculptures – like they were notations to a fine symphony – perfectly carved and meticulously created. Pandya was born in 1926 in the Bharuch district of Gujarat, He then pursuied B.A (fine) Sculpture from Maharaja Sayajirao University, Vadodara. Prof Pandya trained as a sculptor, graduating from MSU in 1954. One of the earliest students of the faculty, during his initial years, Prof Pandya had explored drama, dance, music and all allied in performing arts, and only in the second year had started concentrating in sculpture. Later, he served as the dean of the Faculty of Fine Arts for one-and-a-half years and head of the department of sculpture for 28 long years. 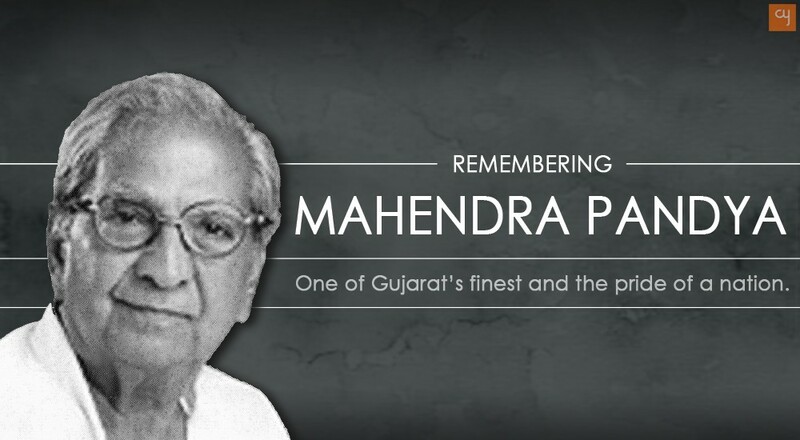 Prof Pandya was a master of many trades and mediums. The noted sculptor and former dean of the fine arts faculty are known for his experiments with diverse materials – bronze, stone, wood, cement, and metal – and had several awards, awards, scholarship and exhibitions to his name. He was a rare artist after all, who chose to continuously scratch the surface of traditional sculptural techniques and turn them over their head. Prof. Pandya had always insisted that he discovered and understood a material before he worked with it. It was his consistent practise, which is apparently visible within his method that strives to attain finesse while keeping the unprocessed texture of the matter intact. The elements are basic and have been tailored into minute and even gigantic banking upon the material. For him, it wasn’t the scale but the intention that mattered. He chose to render big things small, but how beautifully he captured their essence – like in his little sculpture – Bull. Pandya’s initiative of developing a sophisticated uncluttered and a Cubist vision using mediums including bronze, aluminum, and marble had been extraordinary. Seen in entwined at feet as they shoot release over their waistline was the Girls Playing (ferfugadi) pose – a mischievous posture (both their hands held together) – an excellent gesticulation exhibited through aluminum, minimal sized sculpture. “I always get bored working with one material for a long time, so I drastically changed my materials, mediums, idioms during all my creative periods,” said the Late Prof Pandya in one of his interviews. A love for Vadodara pervades Prof Pandya’s senses, who has adorned the city with a sculptural fountain. Many of his sculptures and murals are in various parts of the country, including the UNICEF building, the Museum of Modern Art and Lalit Kala Academy in Delhi and the Salarjung Museum in Hyderabad.His works were admired and acquired by prominent personalities including late Indira Gandhi and Dr. Homi Jehangir Bhabha. Prof. Pandya passed away after a prolonged illness at the age of 89 in 2015 at his residence in Vadodara.